For the past forty years, Haiti has stumbled through dictatorship, poverty and indifference; culminating in the devastating earthquake of 2010. Now as Haiti tries to pick itself up; Brian Samuel looks back, and forward. 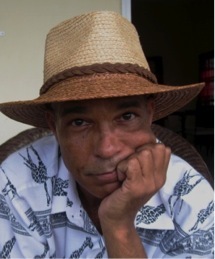 The first time I went to Haiti was in 1975; as a bright-eyed university student from Jamaica. 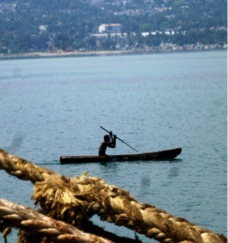 I went with a group of art students (I was economics), and we stayed in a cheap B&B in downtown Port-au-Prince. We went to countless galleries, danced to the infectious meringue rhythms in street cafes, went to a voodoo ceremony and ate poulet de montagne, a local delicacy containing the strangest looking “chicken” bones I’d ever seen – I loved it! I was enthralled at the vibrant culture; but at the same time appalled by the extreme poverty I saw in Port-au-Prince on a daily basis: women washing babies in the gutter; flies and filth intermingled with food. In Jamaica we had poverty, terrible poverty in Kingston’s ghettoes; but nothing like this. The next time I went to Haiti was twenty years later, in 1995. I was working with the World Bank, trying to help rebuild Haiti’s shattered economy after decades of dictatorial misrule. I could never have imagined that, 20 years after my first visit, the seventies would be looked upon fondly as the good old days. 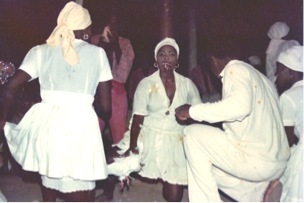 In 1975, Haiti was poor, but at least it was vibrant, you could feel the energy. By 1995, not only was Haiti poorer, worse yet it was depressing. In 1995, Haiti had a per capita Gross National Income of US$269 per annum (source: World Bank); less than the price of the proverbial good dinner in Paris (haven to many of Haiti’s fleeing ex-dictators, such as the odious Baby-Doc Duvalier). Repeat: this is average income per year – the scale of poverty is hard to comprehend. How do people live? 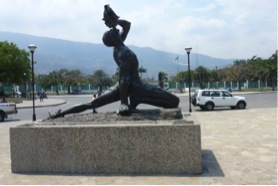 Long gone were the vibrancy and optimism I had experienced in 1975; after two more decades of grinding poverty and dictatorial excess, any remaining optimism in Haiti had been replaced by a sense of physical, mental and spiritual weariness; a loss of hope. I was part of a World Bank team trying to privatize a raft of government enterprises; I drew the short straw and got the flour mill. Correction: the derelict, dilapidated, rotting hulk of what used to be, a long time ago, a flour mill. Ten years to be exact. Haiti’s flour mill, La Minoterie d’Haiti, had always been owned by the government; and had always been profitable. 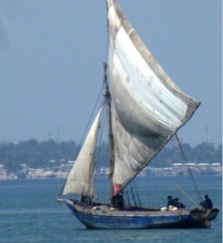 In fact, it was too profitable; and had been plundered for decades by succeeding kleptocratic regimes in Haiti. One day the cash cow ground to a halt – literally. The flour mill was just left there, full of half-milled wheat and other discarded waste products, left to the rot and the rats. Ten years on, and I’m supposed to privatize this ecological disaster zone? I wasn’t optimistic. Without a working flour mill, Haiti had to import bagged flour, instead of the cheaper alternative of importing bulk wheat and milling it domestically. It was insane that a country of 7.5 million people did not have a functioning flour mill; even little Grenada where I came from, with all of 100,000 people, had a flour mill. After being shut abandoned for a decade, Haiti’s dilapidated flour mill needed a heavy dose of money and management to make it operational. If privatization could achieve that result, then it would be a good thing for Haiti: providing cheaper basic food to a beleaguered population. A win-win situation: right? Wrong. It was abundantly clear that Jean-Bertrand Aristide, the Haitian president whom the United States had reinstalled after being deposed in a coup d’état two years earlier, was no fan of privatization. Au contraire, he was an avowed socialist, but he had little choice in the matter: the price Aristide had to pay for being restored to power was to follow the West’s agenda; of which privatization of Haiti’s bloated and inefficient state enterprises was a top priority. The government came up with all kinds of excuses why they should postpone the privatization programme – the companies weren’t ready for sale; they should have a referendum first; they should change the law; etc – but the World Bank, IMF and USAID applied unremitting pressure: you will privatize. As we were to discover to our cost later on, this was not a good basis for a privatization programme. Finally, Bid Day for La Minoterie arrived. Of the original four bidders, in the end only Seaboard Corporation of the USA presented a Bid Envelope; the other three declined. Shame, but one was enough! This was on a Friday, and under the government’s convoluted transaction process, the sealed Bid Envelope would remain locked away in a safe over the weekend at the Prime Minister’s office (why? ); and we were all to re-convene the following Monday afternoon to open the Bid Envelope. A minor irritation but no bother, at least we had a weekend off in bustling Port-au-Prince. On the Monday afternoon, we all reassembled in the Prime Minister’s office, a spacious mansion in the Port-au-Prince suburbs, to open Seaboard’s Bid Envelope: government people, World Bank people, Seaboard people and dozens of others, all sweating in ties and jackets. But instead of bringing out the Bid Envelope, a sheepish looking official came out bearing an official letter stamped from the President’s Office: Effective that morning; the entire privatization programme was suspended – pending a national referendum. Aristide had stuck to his guns: there would be no privatization; not under his watch at any rate. On behalf of Monsieur le President, we were all thanked for our efforts, assured that this in no way meant that the privatization programme was cancelled; but that “protocol had to be followed”. Once the Haitian people had legitimized the programme through a referendum, we would be contacted “in due course”. We all shuffled out, tails squarely between legs. That evening, the bar at the El Rancho hotel was full of forlorn faces, drowning sorrows and muttering incantations. Damn! And so it came to pass, that the Bretton Woods group learned a sobering lesson in the art of dealing with recalcitrant third world countries: You can lead a horse to water; but you cannot make it drink. Horses, like politicians, can be stubborn beasts at times. Mind you, one would have thought they would have learned such a basic lesson a long time ago. Post script: On October 14th 1997, Prime Minister Rosny Smarth signed the documents transferring ownership of La Minoterie to Seaboard Corporation and Continental Grain. President Aristide had been succeeded by Rene Preval in 1995; and the sale of La Minoterie had finally been executed, pretty much along the lines of the deal we had brokered, two years previously. Fast-forward fifteen years and I was again back in Haiti. 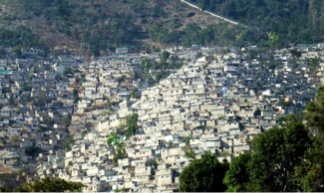 In March 2013 I spent two weeks in Port-au-Prince and its surroundings, again at the behest of the World Bank. This time I was working on a “Public-Private Partnership (PPP) Road Map” for Haiti and the Caribbean. This work is still ongoing, so I cannot divulge too many details, on pain of death (yours). Suffice to say; once again I am working on trying to help get investments going in Haiti. Once again, it is not an easy task. One immediate gratification I got was to learn of the fate of the privatized flour mill, now called Les Moulins d’Haiti – an unqualified success story. It gave me a small tug of pride to see a giant first dividend cheque on the wall of the privatization agency – US$150,000 – from the privatized flour mill. The flour mill has been a good corporate citizen. Ten minutes after Haiti’s devastating earthquake of 12th January, 2010 (at 4:53PM, as residents will always tell you); the flour mill, like the rest of Port-au-Prince, lay in ruins. The new mill’s owners, Seaboard Corporation, Continental Grain and their local partners, invested millions into rebuilding and improving the mill, which reopened on December 15th, 2011. All we need are a few more good deals like that. Pity good deals are so hard to find. Haiti is, by any measure, a “difficult environment” in which to do business. It’s difficult to do anything; just getting around the overcrowded streets of Port-au-Prince is a mission in itself. You cannot realistically plan more than two meetings per day because it takes an hour to get anywhere; and don’t even think about driving yourself. The streets are crammed with people, potholes, garbage, vendors of every item imaginable, mechanic shops, manic motorbikes plus the ubiquitous minibuses or “tap-taps”: converted Hilux pick-ups crammed with dozens of people, hanging off from every angle. In the past, they used to be brightly painted with Haitian street art; now they are just hot, airless and overcrowded. Earthquake damage is still very much in evidence all across Port-au-Prince; but so too are the rebuilding efforts, large and small. All around the city you constantly hear the sounds hammers, generators, trucks: reconstruction in progress. There is a long way to go. The sums of money needed simply to rebuild Haiti’s shattered infrastructure to its former levels are staggering enough, let alone to bring Haiti up to the standard of her Caribbean neighbours. Indeed, money has been flooding into Haiti, billions and billions of it. Three years later, one is tempted to ask: Where did it all go? On looking around Port-au-Prince, you do not see much sign of the US$12 billion-plus that has allegedly been poured into Haiti since the earthquake. This is what is known as donor overload: throwing more money at a country than it can absorb. As fast as you throw money; it leaks out again. However there is one immediate sign of where a lot of the aid money has gone: Pajeros. Or Land Cruisers or Pathfinders take your pick, but Port-au-Prince’s narrow streets are jammed with big SUVs emblazoned with an alphabet soup of Non-Governmental Organization (NGO) logos. There are 560 registered NGOs active in Haiti; and that does not include the multilateral donor agencies, development agencies, UN agencies, diplomatic staff or church groups – the place is awash with well-intentioned white people! At the gleaming Giant and Caribbean supermarkets in uptown Petion-Ville, the car parks are crammed with SUVs, engines thrumming while Monsieur pops inside to pick up a smoked turkey pannini and freshly squeezed jus d’orange for lunch. It costs a lot to hire expatriates. For expatriate staff in Haiti, housing, transport and security are huge – and expensive – challenges of daily living; everyone has their driver, their guard, and is a member of the UN’s tightly controlled security system. Let’s face facts: they need it. Money leeches out of Haiti as fast as it is pumped in; all of the products in those uptown supermarkets are imported; and most of the salaries paid to foreign staff never reaches Haiti – everyone lives off allowances. Haiti’s President, Michel Martelly, recently dropped a bit of a clanger when he complained that 40% of all aid money is siphoned off by outside contractors, vendors and consultants; I would say that is a conservative estimate. How many Haitians are really helped, in the long term, by all this do-gooding? Not a lot.